Monitors and Rules in Operations Manager – Learn it!!! I feel I need to bring this subject under the attention again. Why? Many, many, MANY, many customers do not quite (or not even at all 😦 ) understand how important it is to know the difference between rules and monitors in Operations Manager. This needs to be basic knowledge when you start working with this fantastic monitoring solution. The key difference is: Monitors affect the health state of a managed object, rules don’t. Closing an alert generated by a monitor can create as what i like call a “blind Spot”. A monitor only fires an alert when the state changes to a warning and/or critical state. When the monitor is in that unhealthy state it might turn healthy again in the next interval. If it doesn’t and you closed the alert, you never see an alert again!! (unless a miracle happens). The Resolved resolution state is one of the default resolution states since Operations Manager 2012 SP1. Most monitors are configured to auto-resolve an alert. 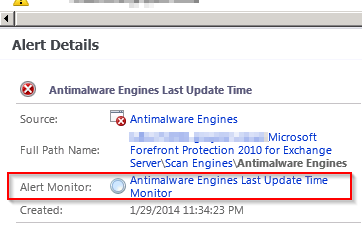 The interval a monitor checks the object state can differ so some alerts stay active longer. If you don’t want the alert hang around in the resolved state to long you can use option 2. If the monitor is configured to do so the alert is set to the closed state. When on the next interval the monitor turns unhealthy again a new alert will be generated. Dude, i see a Recalculate Health option too. Can i use that? Operations Manager will make your life easier if you know how to use it! !